Menthe soppina saru - Methi ambat is one of my favourite curries. Leafy vegetables and lentils are always healthier. 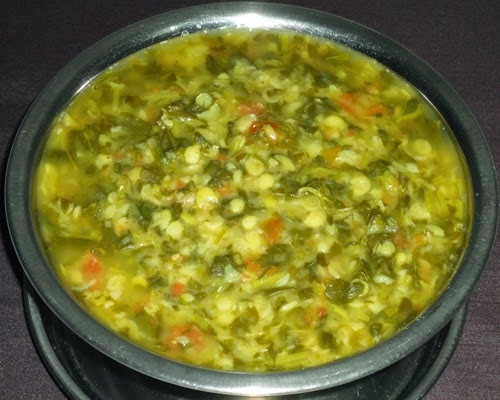 So, I recommend to include methi leaves and toor dal in your diet whenever possible. The simplest yet delicious curry is a nice accompaniment to hot rice with some stir fry, upkari or sukke as side dish. 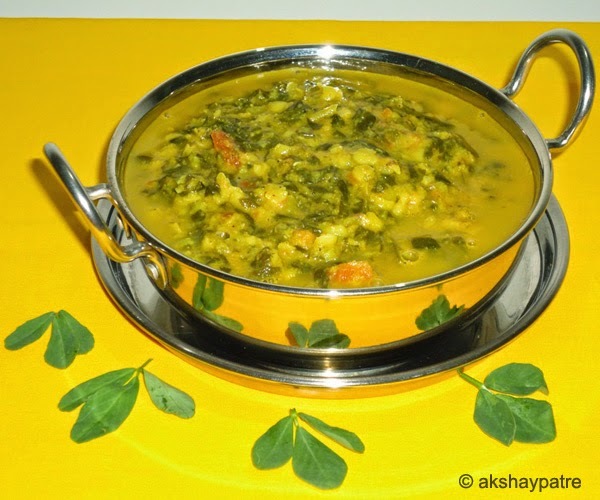 So, I make such curries often by using leafy vegetables such as spinach, amaranth leaves and methi leaves. Methi leaves are slightly bitter in taste, to make it less bitter use toor dal and the leaves in proper proportion. 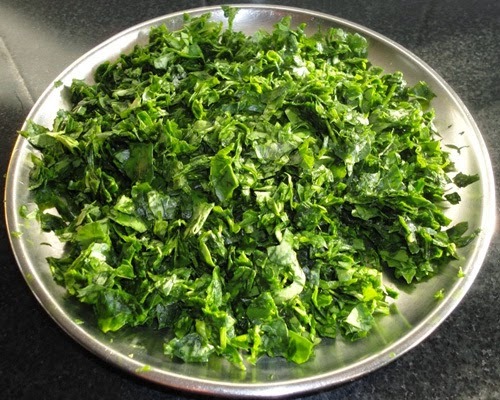 Pluck the methi leavesa, wash them thoroughly under tap and drain. Chop the leaves roughly and set aside. Wash the thoor dal and put it in a pressure cooker container. Add 2 ½ cups water. Add the chopped methi leaves, chopped tomatoes and place this container in the pressure cooker with some water in the bottom. Place the pressure cooker on high flame and take 3 - 4 whistle or till the dal becomes soft. In the meantime, grind the ingredients mentioned under "Grind to paste" to a smooth and thick paste, using some water. Set aside. Place the pan on high flame and bring it to boil. Further, simmer for 2 - 3 minutes and remove the pan from the flame. 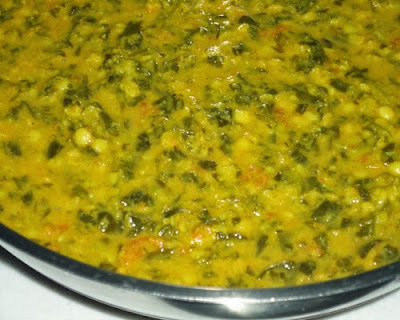 Serve dal and methi ambat after 5 minutes. 1. 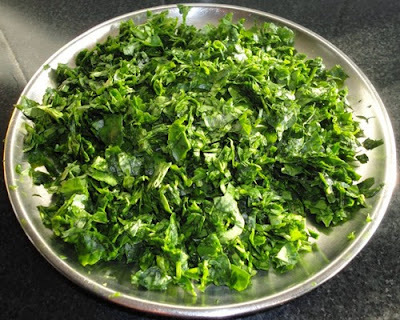 Remove the stems and separate the methi leaves. Wash the leaves thoroughly and drain. 2. Chop the leaves roughly and set aside. 3. Wash the thoor dal and put it in a pressure cooker container. Add 2 ½ cups water. Add the chopped methi leaves, chopped tomatoes and place this container in the pressure cooker with some water in the bottom. Place the pressure cooker on high flame and take 3 - 4 whistle or till the dal becomes soft. 4. In the meantime, grind the ingredients mentioned under "Grind to paste" to a smooth and thick paste, using some water. Set aside. 5. 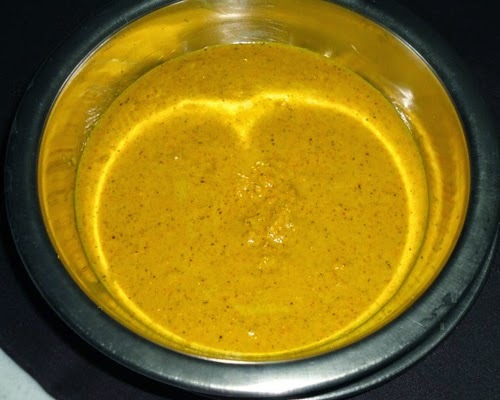 When the pressure releases, remove the container and transfer the toor dal mixture to a deep pan. Add the ground masala paste and salt. Add water if required to make a pouring consistency gravy. 6. Place the pan on high flame and bring it to boil. Further, simmer for 2 - 3 minutes and remove the pan from the flame. Serve dal and methi ambat after 5 minutes with hot rice. 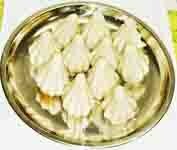 It's kind of South Indian koottu! My favorite..looks yum!! nicely done and tasty and healthy dali ani methi ambat...lovely pics too..